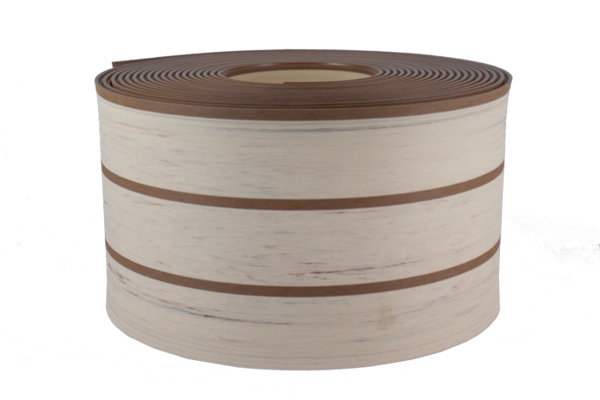 The only synthetic decking designed to stay 25°F to 30°F cooler than all other PVC decking material, CoolTEAK will not feel hot on bare feet, even in full sun. 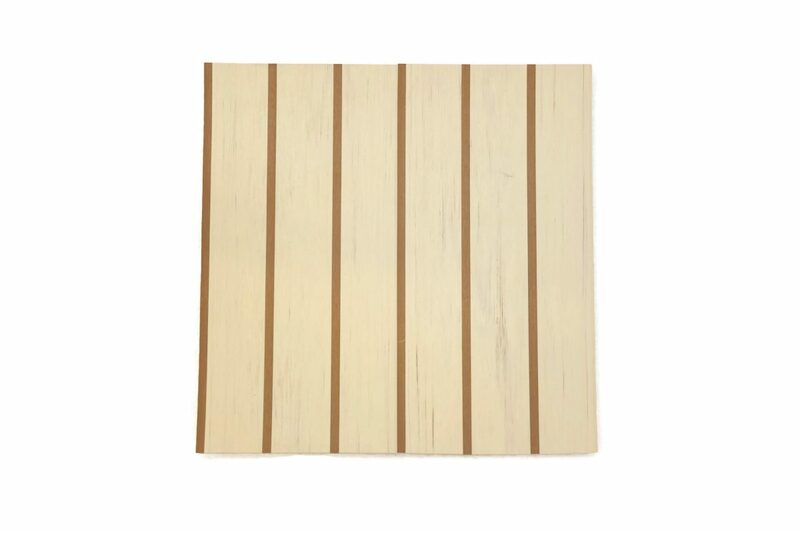 COOLTEAK IS CURRENTLY AVAILABLE IN PRE-MADE PANELS ONLY. NOT FOR DIY. By popular demand, PlasDECK has created the only synthetic decking that’s designed to stay 25°F to 30°F cooler than all other PVC decking material. CoolTEAK will not feel hot on bare feet, even in full sun. CoolTEAK has the elegant appearance of traditional maple planking and is made of the same high quality material that you expect from PlasDECK. 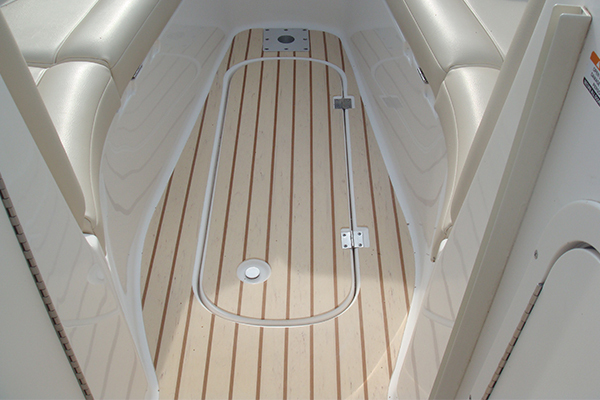 The original CoolTEAK has teak colored caulk lines that complement the maple planks. 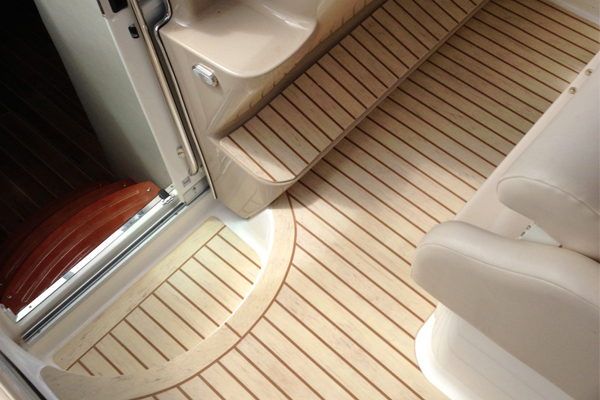 CoolTEAK is currently only available in pre-made mats based on templates. Please contact us for more details! 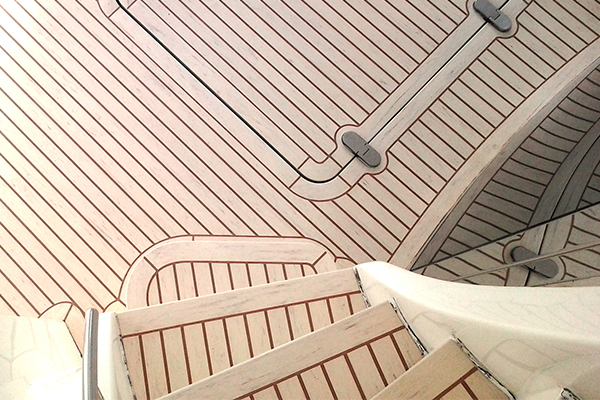 CoolTEAK Swim PlatformAlso, PlasDECK simply looks more like real freshly-oiled teak. We can assure you that your PlasDECK decking will retain its teak appearance for a long, long time, and that you will be enjoying your PlasDECK for years to come.